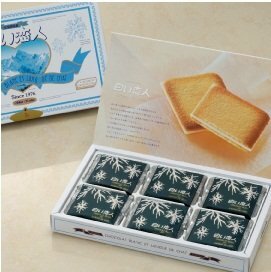 Shiroi Koibito is one of the most famous Japanese chocolate cookies only sold in our Hokkaido and limited shops in Japan. Shiroi Koibito translates to "White Lover" in English; it the name suggests, it uses white chocolate sandwiched in between butter biscuits. Condition: Brand new in original manufacturer gift wrap. If you have any questions about this product by shiroi koibito, contact us by completing and submitting the form below. If you are looking for a specif part number, please include it with your message.